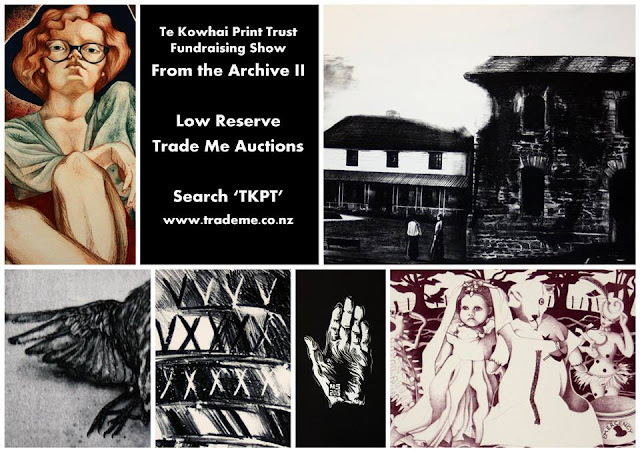 From the Archives II is Te Kowhai Print Trust’s annual fundraising exhibition. The featured works have all been donated to TKPT over the last 33 years by artists who support TKPT or have created and/or tutored at the facility. All auctions are remarkable reasonable prices, starting as low as $26...!! 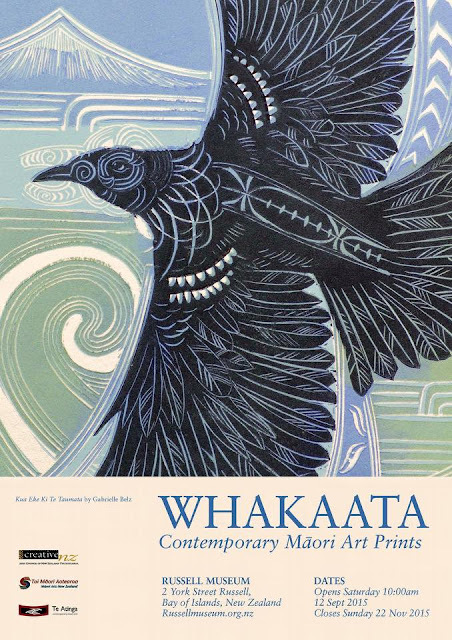 All proceeds go to Northlands only community owned fine art print studio, Te Kowhai Print Trust. which works to teach, advance and preserve the practice of fine art printmaking. where many forms of printing are both enjoyed and encouraged. The Trust offers workshops in lithography, screenprinting, dry point, etching, solar plate etching, woodcut/linocut, letterpress and bookbinding. the Trust has built up a collection of prints that are of national significance to New Zealand. opening 12 September to 22 November. has been a constant form of medium for contemporary Māori artists. Māori working in the arts education found the medium easy to use and accessible to students. for them express their contemporary views on being Māori in a global setting. A leader amongst these artists has been Gabrielle Belz, a key advocate for print artists. Faith McManus, Simon Kaan, Vanessa Edwards and Alexis Neal. who began in the 1950's through to the present day. See Russell Museum's website for more details.